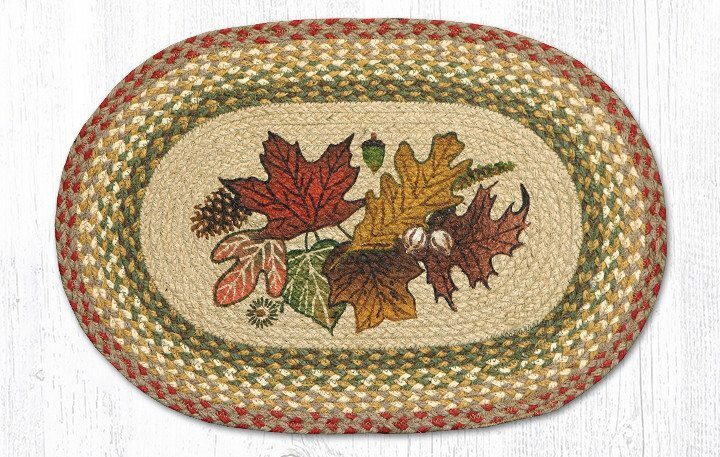 Our 10″ x 15″ braided jute accent mats can be used for large hot plates, small placemats, end tables, etc. 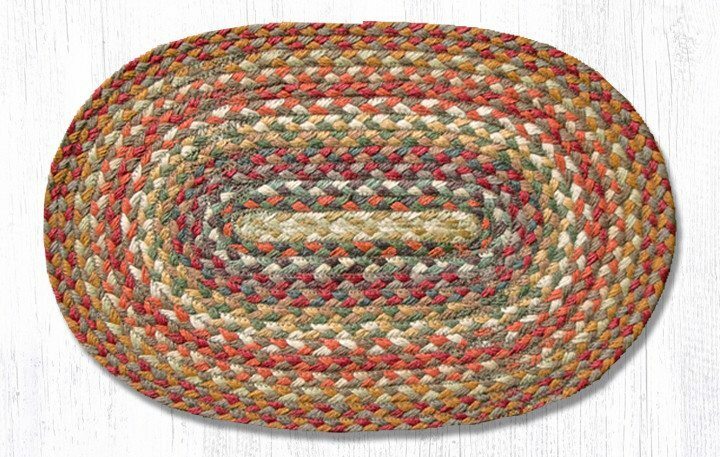 Our printed 10″ x 15″ braided jute accent mats can be used for large hot plates, small placemats, end tables, etc. Comes in a set of 4 sizes (7 oz, 16 oz, 1.5 qt. & 2.5 qt.) Made to fit Corning Ware French White round casserole dishes but will fit others. 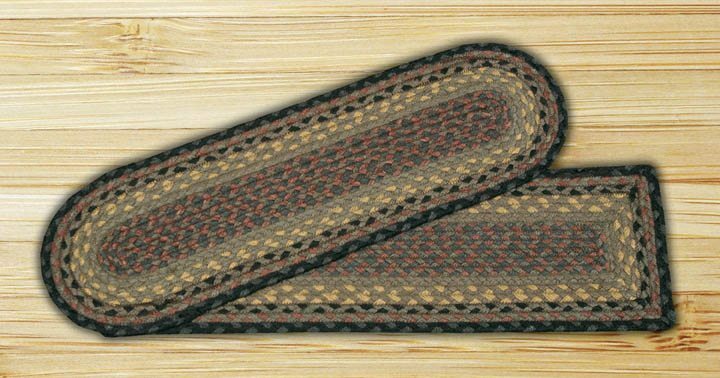 15.5″ x 15.5″ round braided jute chair pads with matching dyed color ribbon ties. Hand printed 15.5″ x 15.5″ round chair pad with matching color dyed ribbon ties. Set of 4 hand printed 5″ x 5″ round coasters. 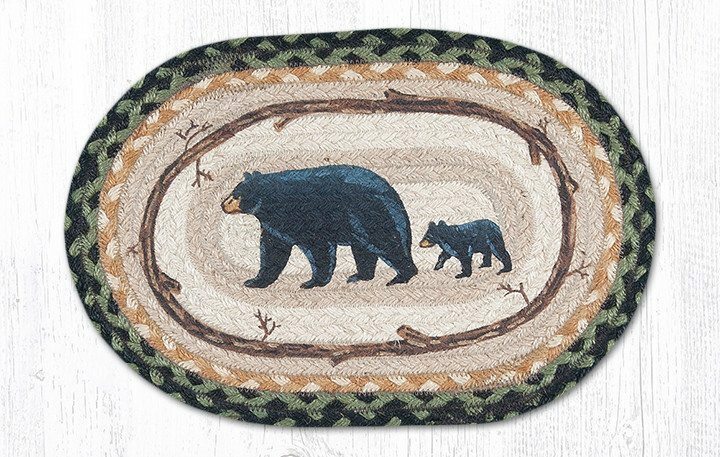 13″ x 19″ braided jute placmats. Hand printed placemats. 13″ x 19″ Ovals and some in 15″ x 15″ round. Hand printed braided jute 27″ x 8.25″ oval stair treads. Hand printed table runners. Available in 13″ x 36″ and/or 13″ x 48″. Braided jute 10″ x 10″ round trivets. Hand printed braided jute 10″ x 10″ round trivets. Set of 6 hand printed 10″ round trivets in a braided jute basket holder. 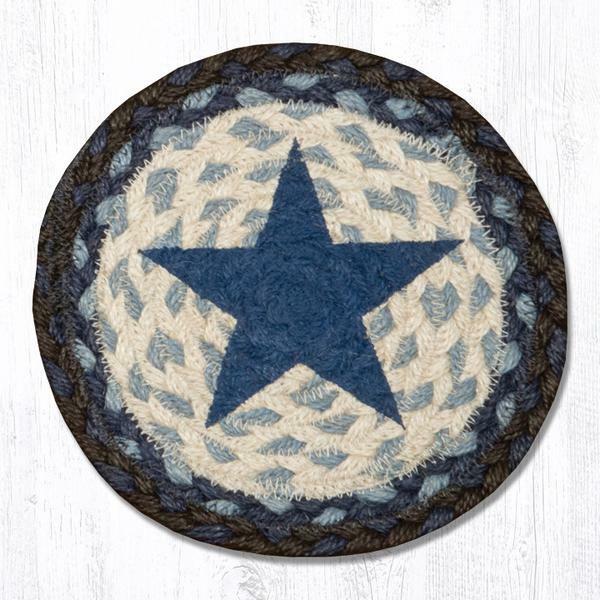 Braided jute 19″ x 19″ star shaped trivets. 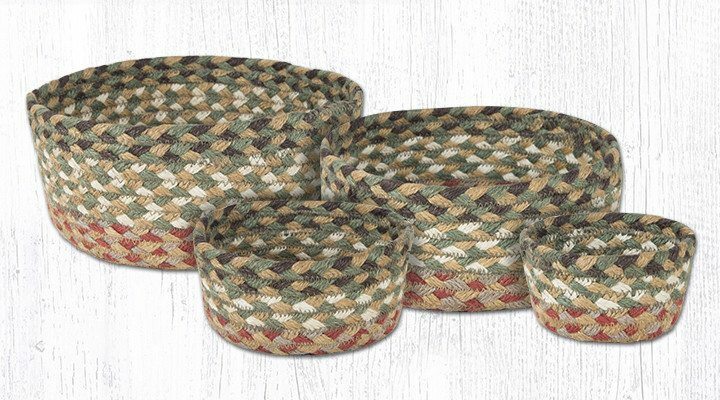 Our jute home accents add beauty, charm, practicality and durability to your home. Both printed & unprinted products will be a valuable addition. Our fine quality jute products will give you many years of use and enjoyment. Select designs can be found in all shapes and sizes.